The history of the supernatural thriller is longer than you may expect. As long as humans have existed, we feel compelled to tell stories, to bask in the thrill of the storyteller and endeavor to understand the world beyond our senses. You may be familiar with the film genre of the supernatural thriller, but its timeline extends to the earliest of times. Within this genre of storytelling, the primary conflict tends to be between two main characters, with one possessing some sort of supernatural power like hero-themed tales such as Gilgamesh. An early example of this device is found many times in Homer’s The Odyssey. Odysseus, as he fights to make it home, comes across many supernatural creatures, gods and demigods possessing otherworldly powers. An epic tale such as this was not written down at first but told and retold to avid listeners. Weaving the mystery of the supernatural with the excitement of the thriller was sure to keep listeners interested in the storyteller’s saga. 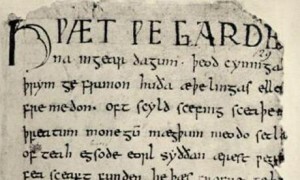 Another example of the supernatural thriller genre you may have never considered is Beowulf, the heroic 8th century tale written by an anonymous Anglo-Saxon poet. Beowulf battles Grendel, a creature with impenetrable skin, as well as Grendel’s mother, who seems to be on the verge of victory over Beowulf. However, the warrior takes her magic sword and slays her. Man against the supernatural. This mixture of suspense and other traditional thriller elements such as horror and the occult lends an intense engagement of the intellect as well as the more organic, basic human fears. Still, the graphic and gratuitous nature of modern horror gore is usually not present. Take for instance Shakespeare’s Hamlet and Macbeth. The supernatural serves as a means to propel action within the plays. Hamlet is spurred to action by the revelations of his father’s ghost. Hamlet seeks fatal revenge for the king’s death at the ghost’s behest. In Macbeth, we find all manner of the supernatural: witches, curses, apparitions, a dagger suspended in air and ghosts. The three witches’ prophecies validate Macbeth’s fears and sinister ambitions. Shakespeare’s use of the supernatural adds intensity, motivation and insight into the actions of his characters. Over time, the supernatural thriller style of storytelling evolved into stories of a Gothic nature such as Mary Shelley’s Frankenstein. This famous story enfolds to tell the tale of what is known as “the noble savage.” Frankenstein’s creation wishes to be embraced by a society that finds him horrific. He attempts to live despite Frankenstein’s rejection; however, his unnatural strength puts those around him at dire risk. The monster is thus compelled to pursue his creator to exact revenge. Again, supernatural elements, like the ability to create life from death, provide a catalyst to the story and character development. Bram Stoker’s Dracula makes use of the epistolary story device. Like Frankenstein, the story is told through letters, logs and journal entries. 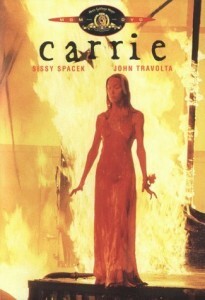 Stephen King would use the epistolary format when writing his breakthrough work, Carrie. Stoker had become very interested in the folklore of Central Europe that was full of stories about vampires. His contribution to the supernatural thriller uses the inherent mystery and exotic nature of old superstitions to add intensity to the story. While writing The Hound of the Baskervilles, Sir Arthur Conan Doyle would base the hellhounds on a folk tale about a supernatural dog who would howl at a cursed squire’s tomb. Folklore, belief and myths are integrated into the otherworldly conflict of the genre. The supernatural invades real life. One superb example of the invasion of the supernatural with reality is Henry James’s The Turn of the Screw. Like many of Poe’s tales, the reader is left wondering if the first-person narrative is told by an insane character or a victim of dark forces. James’s story is in the format of a manuscript by a governess who discovers her charges to be possessed by the ghosts of a dead couple. The children and the haunting deceased become so entwined that lives are at risk. The suspense and thrill of the story builds as the governess attempts to take on the menacing ghosts herself. She must battle the supernatural force which has gained control over the world of the living. At times, the supernatural thriller is not merely a struggle between the everyday world and the sinister beyond. Many tales, like Oscar Wilde’s The Picture of Dorian Gray, take on the consequences of human greed, vanity and evil. Dorian embraces a purely self-serving and hedonistic lifestyle. He wishes his portrait to age physically instead of suffering himself. As he leads a life of unabashed indulgence and debauchery, his portrait continues to reflect the ugliness of his soul and becomes more hideous as the years roll on. Finally, as he murders and destroys, he destroys the portrait and dies as ugly as his painted visage had been. In more recent stories, we find mythical creatures or changeable spirits like the manitou which is featured in the Peter Straub book, Ghost Story. 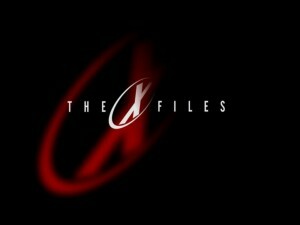 Shape-shifting creatures like the manitou can be found in many works by Stephen King, J.K. Rowling’s Harry Potter series and in television shows like The X-Files. Many shamanistic cultures throughout the world have cautionary tales that warn of the shape-shifter. Three Horizon Productions’ own Out of Focus features a shape-shifter character that takes on multiple human forms. Most of these tales of intense supernatural thrills make for excellent visual storytelling. Filmmakers have used technical and artistic devices to bring these stories to life on the screen as independent films or studio creations. Dracula actually has few literal adaptations of the original book; however, it has inspired a great deal of screen derivations. Nosferatu (1922) is considered one of the best film versions of the classic tale. The use of light and shadow as well as the appearance of Count Orlok, also known as Nosferatu, adds to the sense of dread and anticipation. Frankenstein is another book that has seen numerous film adaptations. 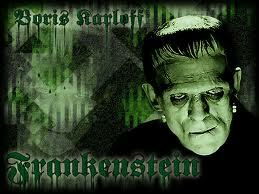 Boris Karloff (1931) made famous the look we now associate with Frankenstein’s monster. This film’s makeup artist, Jack P. Pierce, interpreted the monster’s look in his own unique way, which differed from Mary Shelley’s original description. An even earlier Frankenstein film is from 1910 and starred Charles Stanton Ogle as the monster. This early piece of film is rumored to have been produced by Thomas Edison. In this film, the monster is created and not assembled as he is in subsequent adaptations. It is also considered the first horror film. The 1945 film adaptation of The Picture of Dorian Gray changes certain elements of the characters but makes astounding use of cinematography. The movie is in black and white; however, we see the portrait of Dorian in color four times in the movie. This technique adds a further air of mystery to the picture as Dorian descends into a life of pure vanity and immorality. As film technology has advanced since the early years of pre- and post-code Hollywood, film versions of famous books have given filmmakers more tools to bring forth their own visions of character, action and setting. For instance, in Brian DePalma’s film Carrie (1976), based on Stephen King’s novel, the viewer sees the dizzying effect of the camera moving around a rotating platform during the prom scene. The supernatural thriller film genre has seen resurgence with films such as The Sixth Sense, The Village and with such independent films as Three Horizons Production’s (THP) Out of Focus. The genre is very popular among women who want the thrill of suspense, the mystery and the horror of the supernatural without the gratuitous use of gore. Production companies like THP seek to bring high quality films to an audience who is often underserved by Hollywood. If you are an emerging or established filmmaker who seeks to further the timeline of the supernatural thriller, contact the team at THP. Also, check out THP’s Supernatural Film Festival to take place early summer 2013: www.supernaturalfilmfest.org. Written by Colette Finkbiner, writer/blogger for Three Horizons Productions.